(Coppell, TX) --- AAA Texas is opening its doors to talented professionals with ambition, initiative, strong work ethic and career dedication who wish to join our trusted member service organization. A Career Open House will take place on Wednesday, March 11 from 3:00 pm to 7:00 pm at the new AAA Texas Regional Administrative Office located at 1225 Freeport Parkway, Coppell, TX 75019. This hiring initiative is to support the growth of our business in Texas. 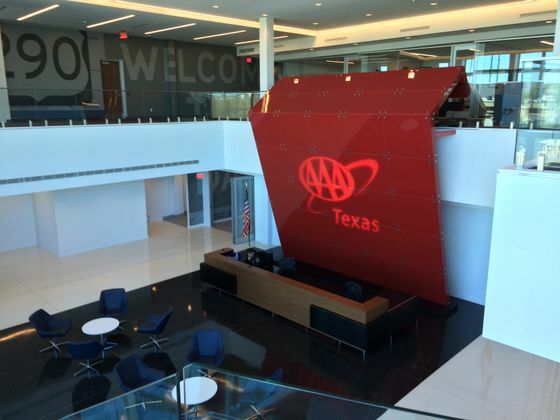 AAA Texas recently relocated to a state-of-the-art, 250-thousand square foot facility in Coppell. Immediate full time positions at the new building are now available in Customer Service, Insurance sales, Information Technology, Call Center, Claims, Travel and more. Full time positions with AAA Texas include competitive pay, medical, dental, vision, 401k, company pension plan, paid training, a free AAA Plus membership and employee insurance discounts. Our new Regional Administrative Office marks a milestone for AAA Texas and an exciting opportunity for potential employees who possess the desire and qualifications to be the best in customer service to our members. Candidates interested in becoming part of our exclusive team should bring their resumes to the March 11th event and plan to meet with hiring managers. Learn more about AAA careers, or apply online by visiting www.aaa.com/txjobs. As North America’s largest motoring and leisure travel organization, AAA provides more than 54 million members with travel, insurance, financial and automotive-related services. Since its founding in 1902, the not-for-profit, fully tax-paying AAA has been a leader and advocate for the safety and security of all travelers. Visit AAA Texas online at www.aaa.com.